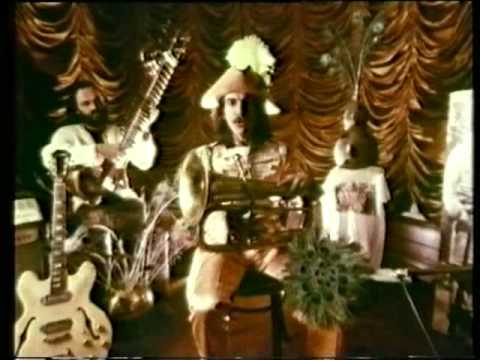 The Beatles' Sgt. Pepper suits have become some of the most iconic symbols and beloved symbols of the Beatles. 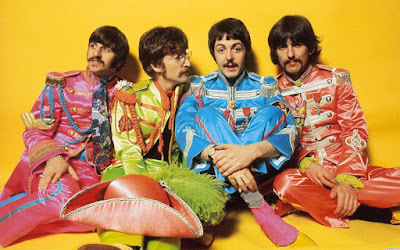 At every Beatles convention and fan gathering, there are people dressed in green, blue, orange and pink "Pepper" suits. 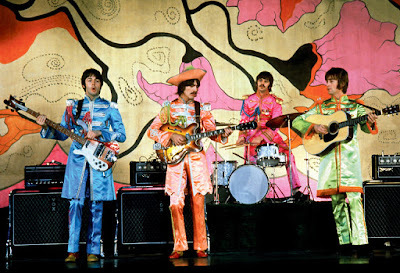 The first time the Beatles put the suits on was on March 30, 1967 during the Sgt. Pepper album photo shoot. The only other time all four Beatles are seen wearing the Sgt. 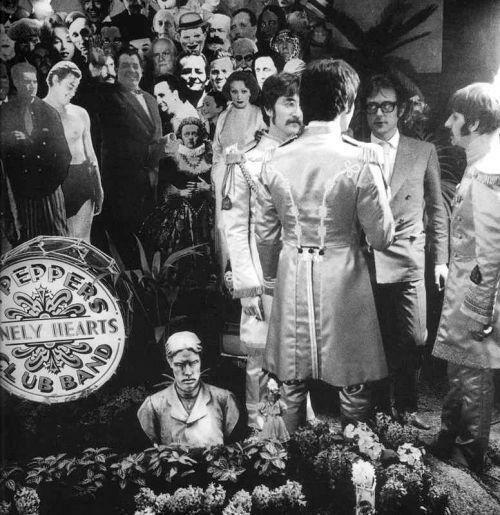 Pepper suits are in November 1967 when the did the promo film for "Hello Goodbye." I have heard a story about John walking around London wearing his suit while tripping on LSD, but that is just a story and has never been confirmed. All four suits are currently in possession of Paul, Ringo, Olivia and Yoko. Yoko has loaned John's suit to the Rock n Roll Hall of Fame in Cleveland right now. 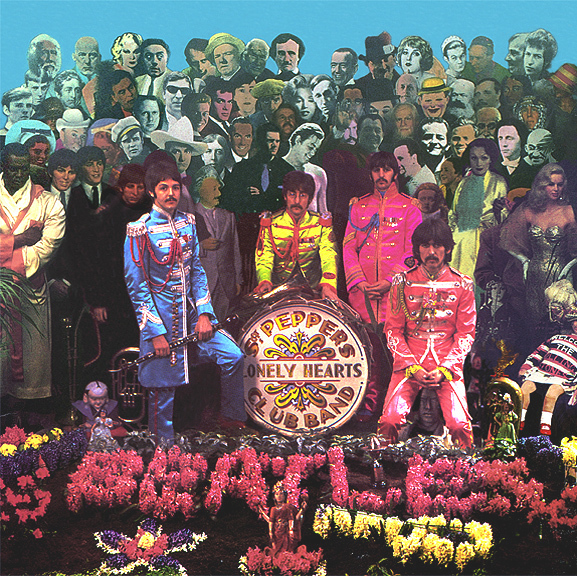 Ringo and George's have been on display at museums in the past, but as far as I know they aren't right now. George is the one Beatle that kept bringing his suit out after the Beatle years. 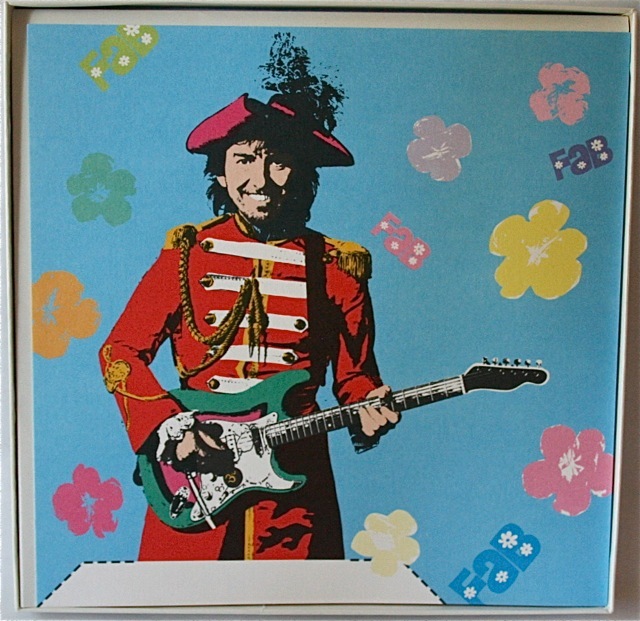 He wore it in the video for his song "Ding Dong"
Paul's suit is seen in the video for "My Brave Face," although the one the Japanese collector guy holds up is a copy. Apparently Paul didn't want it being handled. Ringo's suit was rumored to have been destroyed in a house fire in 1979. Thankfully that was just a rumor and Ringo still has his pink suit. 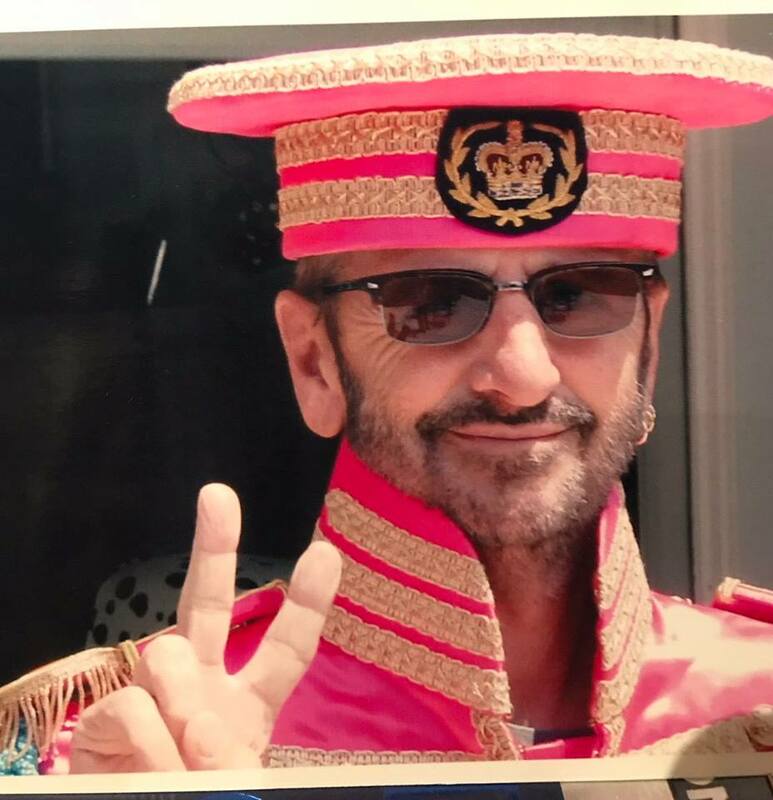 Just a few days ago Ringo was pictured wearing one (is it the original? I am not sure) to celebrate the Beatles 50th Anniversary. The Sgt. Pepper suit has almost became bigger than the album. I get it---I really do. 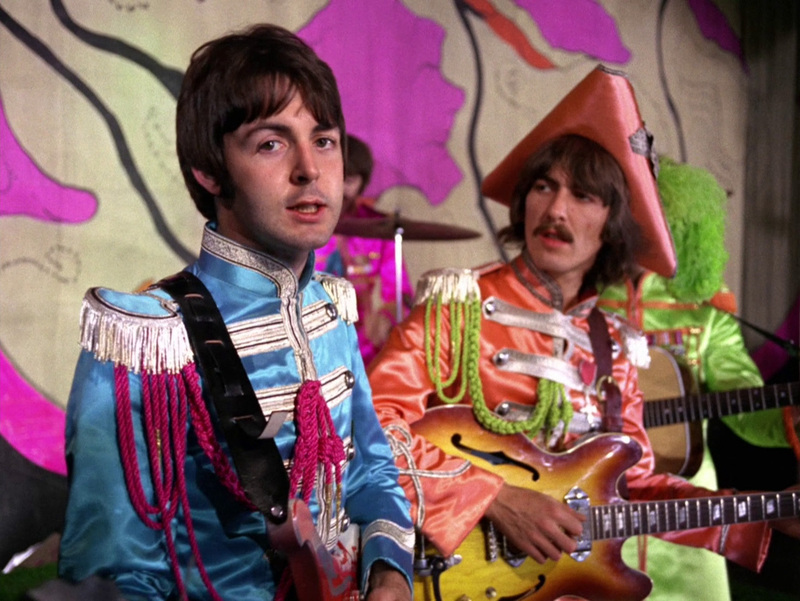 However, I would never wear one to a Beatles gathering. Fascinating article, Sara, as always. And thank you for providing the link to the article about the costumes. Earlier this year the Victoria & Albert Museum in London displayed two of the outfits to great effect in the exhibition 'Revolution'. Interestingly, the costumes displayed were those worn by John and George - I wonder if they asked for Paul and Ringo's? If so, and they denied permission, could this mean they have their own plans to organise an exhibition? That pic is a cutout from a U.K. Special edition issue of "Fab." It also had a poster.